In her first semester teaching Anthropology: Human Origins, Jennifer Campbell feels she has made the right choice becoming an instructor in her favorite subject. Campbell became fascinated with the subject when in her first semester of college. She took a cultural anthropology course that convinced her to change her major. “As an anthropologist, you can look at people, you can look at primates, you can look at the past, you can look at the future. It’s such a holistic discipline, that I really love it,” says Campbell. Born in Omaha, Neb., Campbell attended Eastern Oregon University as an undergrad and then went to Iowa State University to get her master’s degree in anthropology. Campbell moved to Salt Lake City over the summer to try and land her first teaching job. “I decided to move to Salt Lake City, and then I looked for teaching jobs, and I was really lucky to find one at SLCC because honestly, teaching jobs in anthropology are sort of few and far between. The market’s kind of saturated, so I feel really lucky to have this position,” says Campbell. She currently teaches three classes of Anthropology: Human Origins and wants to develop a cultural anthropology class as well, once she gets settled in. Besides teaching, Campbell stays busy raising her daughter. “She five, she’s the light of my life,” says Campbell. A hobby of Campbell’s is singing karaoke, and “Hit Me with Your Best Shot” by Pat Benatar is an example of something she might sing. Campbell also plays the guitar. She started playing when she was about 16 and says she particularly enjoys playing bluegrass and folk music. When she was an undergrad, Campbell and a friend would sometimes play guitar and sing together at a coffee house. Campbell’s passion for anthropology has led her to take opportunities to research the subject firsthand, traveling to places like Bali, Nicaragua, India and Costa Rica to study primates. Her favorite primate is the macaque monkey. “I love research, but I think I’m more passionate about teaching,” says Campbell. 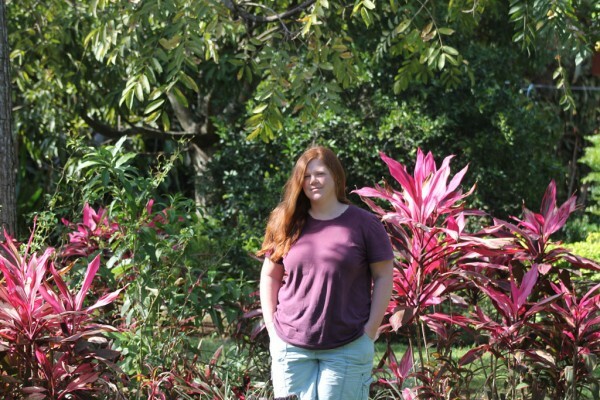 This May, Campbell will help lead the “Cahuita Capuchin Project”, which gives students the opportunity to travel abroad to Costa Rica to study primate ecology and behavior. It will be put on through the Department of Anthropology at the University of Utah and will offer 3 credits from the university to those who participate. Find more information at facebook.com/CahuitaCapuchinProject.